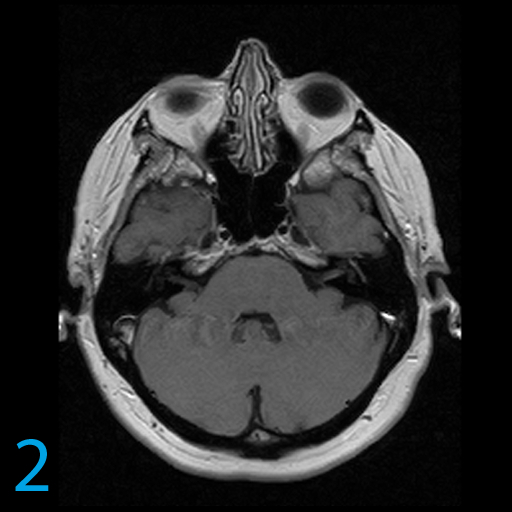 This is a 57-year-old female with external ear vesicles, tinnitus, left facial droop and hearing loss. Have a look at the first two images without arrows, and see if you can answer the following questions. Afterwards, have a look at the duplicate images with arrows which highlight the key findings. Ramsay-Hunt syndrome or herpes zoster oticus is caused by varicella zoster infection involving the sensory fibers of cranial nerves 7, 8, and a portion of the external ear supplied by the auriculotemporal nerve. Pathologic enhancement of multiple nerves both within the IAC fundus and outside the fundus are tip offs to the diagnosis along with external ear vesicles! 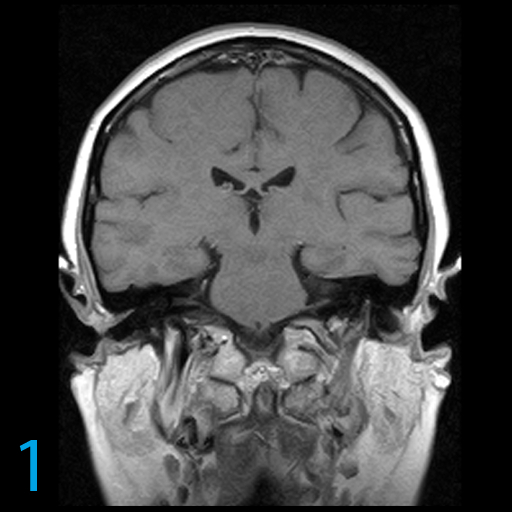 The top differential diagnosis is Bell’s Palsy which does not have vesicles, does not involve as many cranial nerves, and typically restricts itself to the 7th. Other differential diagnoses include meningitis with meningeal symptoms, sarcoid with multiple bizarre lesions, and meningeal carcinomatosis which is not localized to the cranial nerves. Involvement of the membranous labyrinth, as well as all portions of the facial nerve and other cranial nerves, are important tip offs to the diagnosis of Ramsay Hunt syndrome. Facial palsy alone with external ear vesicles is still considered part of the Ramsay Hunt syndrome. Facial paralysis is more severe than with Bell’s palsy. There is a deep burning pain in the ear. Sensorineural hearing loss, tinnitus and vertigo are common, but not with Bell’s palsy. 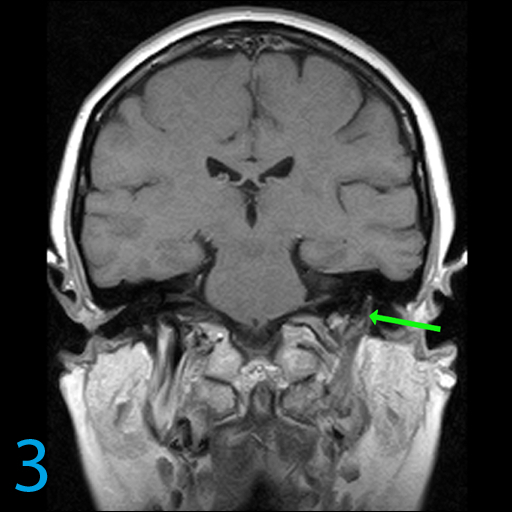 The 5th cranial nerve may be involved specifically with the ophthalmic division, but not with Bell’s palsy. Vertigo develops after pain, but either before or after vesicular disruption. Ear pain is usually followed by the vesicles in about seven days. 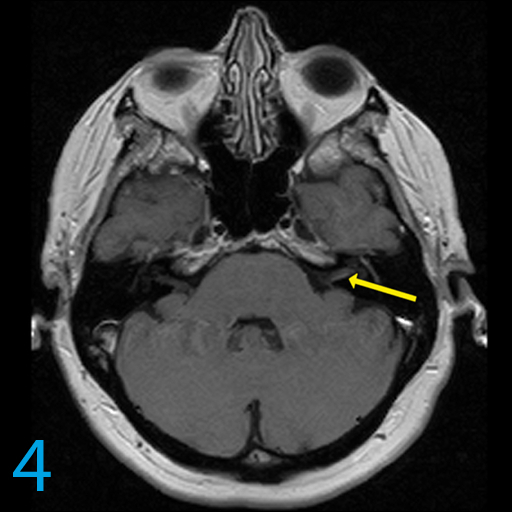 Cranial neuropathies occur within days after the ear pain, but when they occur before, the vesicles may be missed. The peak damage to the 7th nerve is at approximately 17 days compared with Bell’s palsy which peaks at 10 days. For more case review, check out MRI Online. 1. Grose, C. et al: Chickenpox and the Geniculate Ganglion: Facial Nerve Palsy, Ramsay-Hunt syndrome and acyclovir treatment. Pediatric Infectious Disease Journal. 21 (7): 615 to 617, 2002.